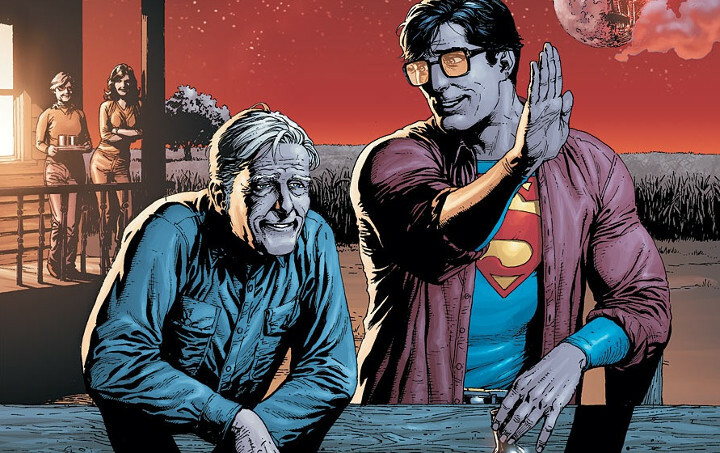 There is no real reason for Clark Kent to exist — at least not the bumbling, bespectacled version of him we usually see in comic books. Unlike most heroes, Superman isn’t some ordinary guy who stumbled into greatness. Lex Luthor and General Zod aren’t pounding the pavement searching for Superman’s secret identity; they assume he doesn’t have one at all. He’s an alien with powers beyond human comprehension. He doesn’t have to be anything but super. This point is touched upon in Kill Bill Vol. 2. Bill sees the Kent identity is Superman’s critique on the human race. However, this opinion ignores a large chunk of the Superman mythos. Superman grew up on earth, raised by human parents. He went to a school with other humans, falling head-over-heels in love with human girls. Yes, he was born on Krypton, but he has more of a connection to his human upbringing than his Kryptonian one. His glasses and suit are a way of ensuring he never loses touch with that part of himself. 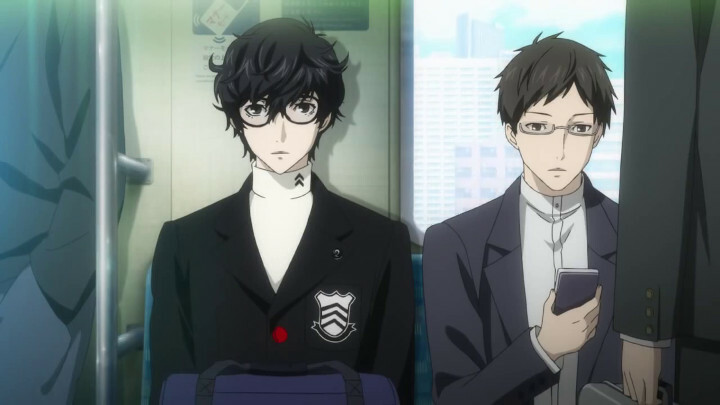 The protagonist of Persona 5 isn’t Superman (probably), but he certainly has a little Clark Kent in him. Every morning, he rumples his hair, puts on his glasses, and pretends to be someone he’s not. It’s only when he puts on a mask that his true face is revealed. Persona 5‘s protagonist masquerades as a quiet, polite student. However, beneath that mild-mannered exterior lurks a rebellious heart. When he dons his mask, he transforms into a bold, confident thief; the kind of man that can make the mos impossible goals into a reality. He’s no longer a weak and timid kid. Instead, he welcomes challenges. When his face is hidden, he is able to show the world his true self. On its surface, this character archetype isn’t particularly unusual. The world of fiction is full of phantom thieves. However, it’s hard to understand why this particular character needs a secret identity at all. While the protagonist is a high school student, he lives away from his family. No one is forcing him to attend a prison-like school; no one is requiring him to bear the burdens of an ordinary life. He could easily drop off the radar and focus on his heists full-time. The glasses and the mussed-up hair aren’t a necessity; they’re a conscious choice. Superman may not don a cowl when he goes out to fight crime, but he’s always wearing a mask. When he opens his shirt and reveals his spandex, he has to hide away the Kansas farm boy who loves watching baseball and eating peanut-butter-and-jelly sandwiches. He becomes a demi-god, an alien, an incredible creature no person could possibly relate to. But when he puts his rumpled suit and glasses back on, he has to conceal the things that make him spectacular. He has to diminish his natural talents so that he doesn’t have an unfair advantage over his colleagues. He has to pretend to be a coward so that he can sneak away to save the day. Superman is at his happiest when he lets both masks drop. When he tells Batman stories about mucking stables back in Smallville, when he comes home to the woman he loves and regales her with stories of robot-punching, he is finally dropping his disguises and revealing his true self. 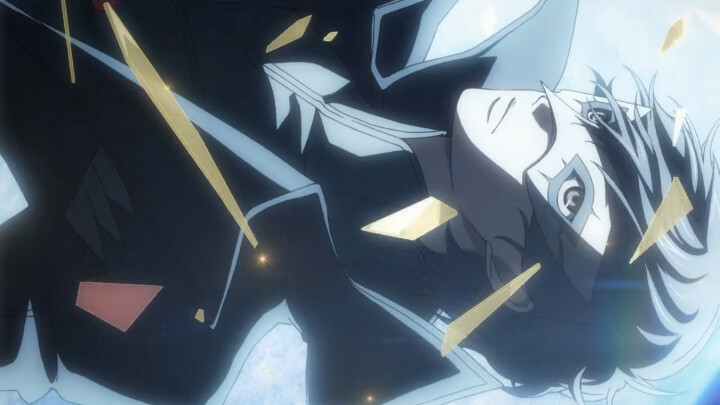 Persona 5‘s lead may not be the shy, soft-spoken teen he pretends to be, but I don’t believe he’s the unflappable criminal he presents himself as either. Maybe he’s just a scared, lonely kid presenting himself as the kind of person he wants to actually be. His secret identity is a security blanket, a way to pretend he’s just as normal as everyone else. But just like Superman and Clark Kent, that secret identity is also a crutch. When he puts on the mask, he has to be fearless, to push down the parts of himself that are screaming in pain. When he takes it off, he has to hide his bravery, his badassery, the part of him that can leap through stained glass windows and not even flinch. People frequently crack jokes about Superman and Clark Kent, but there’s a real darkness to the idea of a perpetual secret identity. Imagine being trapped behind a mask all the time, always pushing your real thoughts and feelings deep beneath the surface. No matter where you were or who you were with, you’d never have the chance to be free. The word “persona” has its roots in Latin; it once literally referred to masks. But more often than not, the Persona games are about accepting every aspect of yourself, even the parts you’d prefer to keep hidden away. Hopefully, the protagonist finds the strength to toss his masks to the curb. Everyone — Superman included — deserves to be more than a Clark Kent.